Nope! 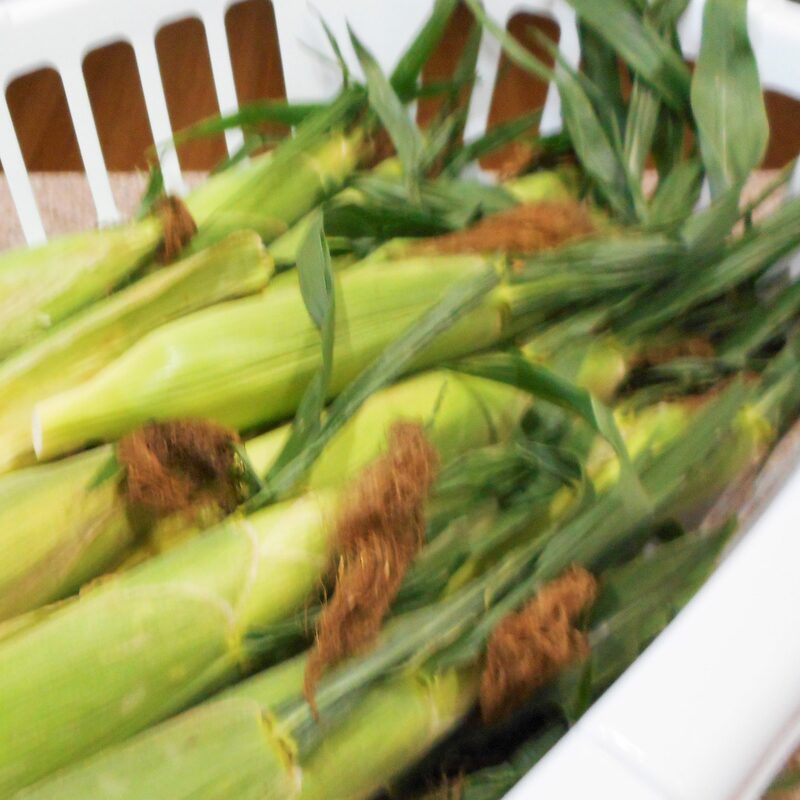 I haven’t been absent without leave, I’ve been putting up Cream-Style Corn for Freezing, and lots of it! This is an old fashioned recipe that came from my good friend Carol. For years, we would park our children out under the willow tree with baskets of corn and make them shuck it and pull out all the silks. Now, the kids are grown and Carol and I are no longer neighbors, so the work fell to Michael and I, and it takes a while. We didn’t mind though. That sweet summer corn will taste pretty darned good this winter. Leave that runny canned stuff to the grocery store. 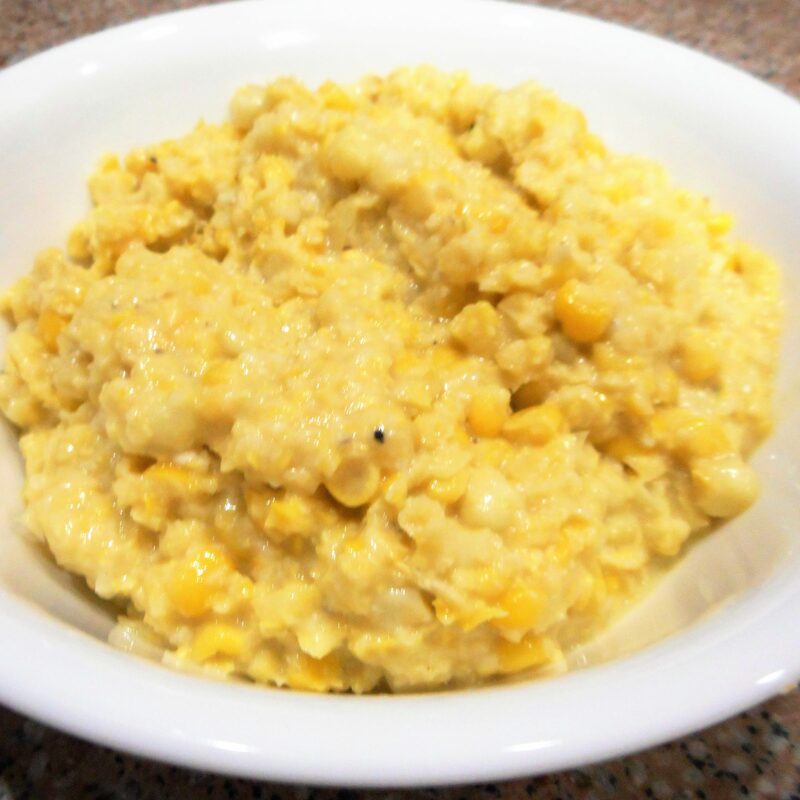 I can add milk to this if I like, but I’ll know I’m eating corn. We did take one day off from putting up the corn and the last of our tomatoes to go visit Carol and her husband, Randy, in their new lake home. Can you see the horns of envy sprouting from my head? While we were there they gave us a big bag of garlic they had harvested before moving from their old house. Every once in a while I do something smart. 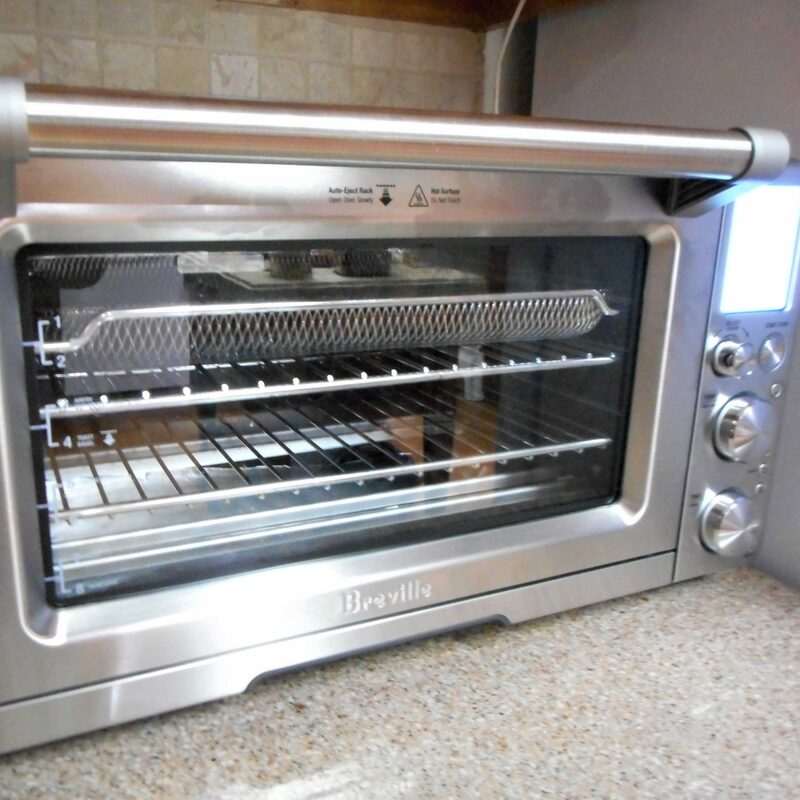 This time I had the presence of mind to have Michael take the toaster oven out to the screened porch so I could roast some of that garlic. Now the neighborhood is perfumed by roasted garlic, but not my whole house! 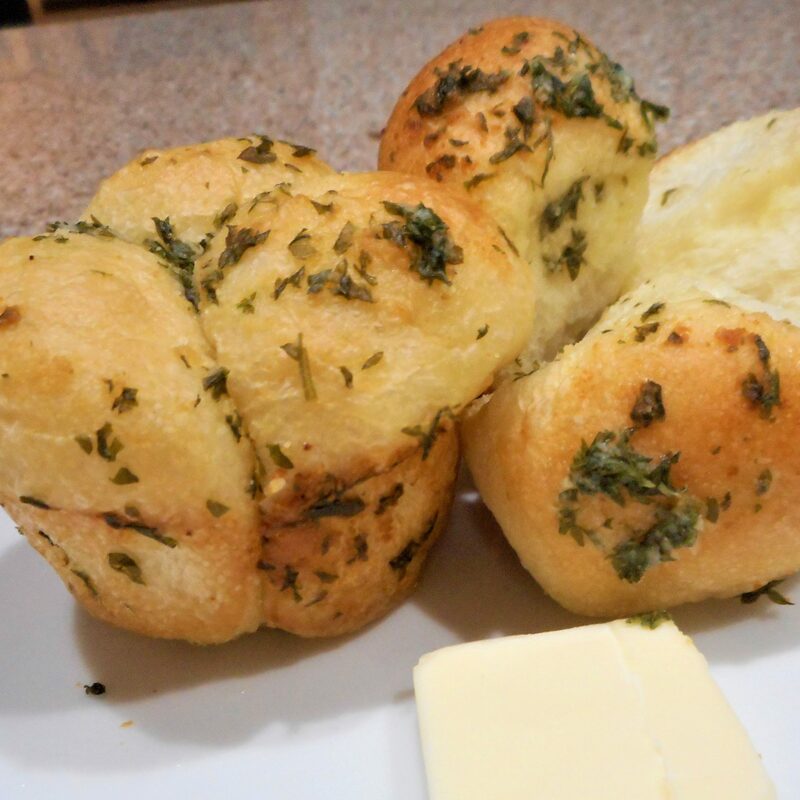 I have a full pound of delicious roasted garlic butter in the freezer, along with a bag of roasted cloves and a cup of puree. 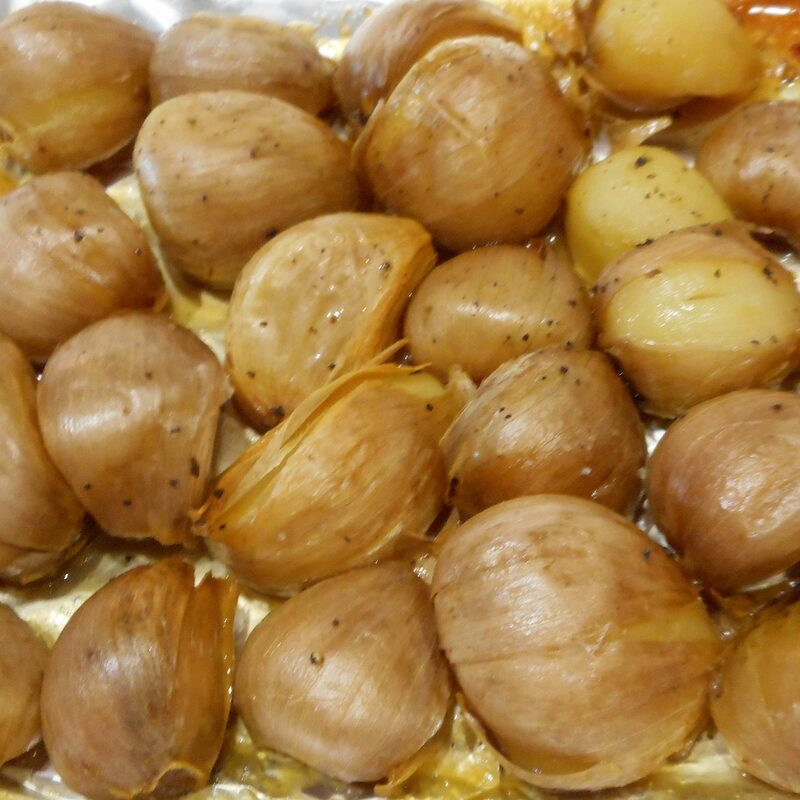 I think I’m set in the roasted garlic department for a while and I still have some fresh, too. Oh, and I planted some. A gift that keeps on giving. Peaches are still in season in Alabama, and almost every time I go into our little independent grocery store a basket of them seem to jump into my cart. Did you know peaches have legs? Well, it seems that around here they do! They keep jumping in my grocery cart, and I keep having to find new things to do with them. 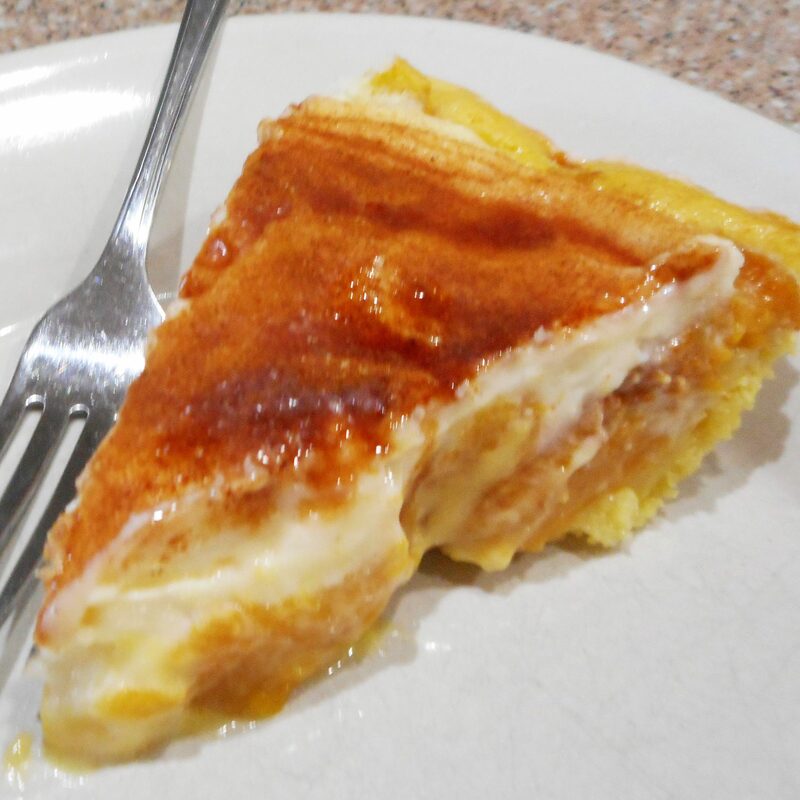 Well, this is another old family recipe for Peaches and Cream Pie. Of course, I changed it just a bit. I can’t help myself. I’m still learning to use my pressure cooker. 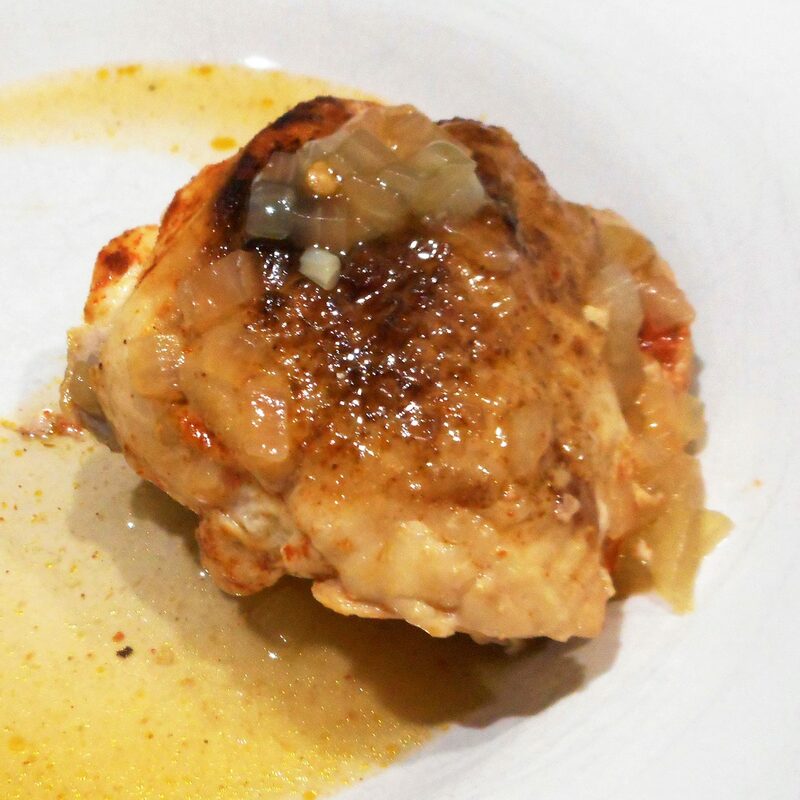 This week’s experimental recipe was Mexican Barbecued Chicken. It doesn’t look like much in this picture, but it was very flavorful. I learned that with a pressure cooker, much like a slow cooker, you don’t need to add extra liquids. I corrected this recipe to reflect that fact. The leftover chicken wound up in the freezer instead of on a sandwich as intended. That was the evening we went to visit Carol and Randy. What kind of hard choice was that? 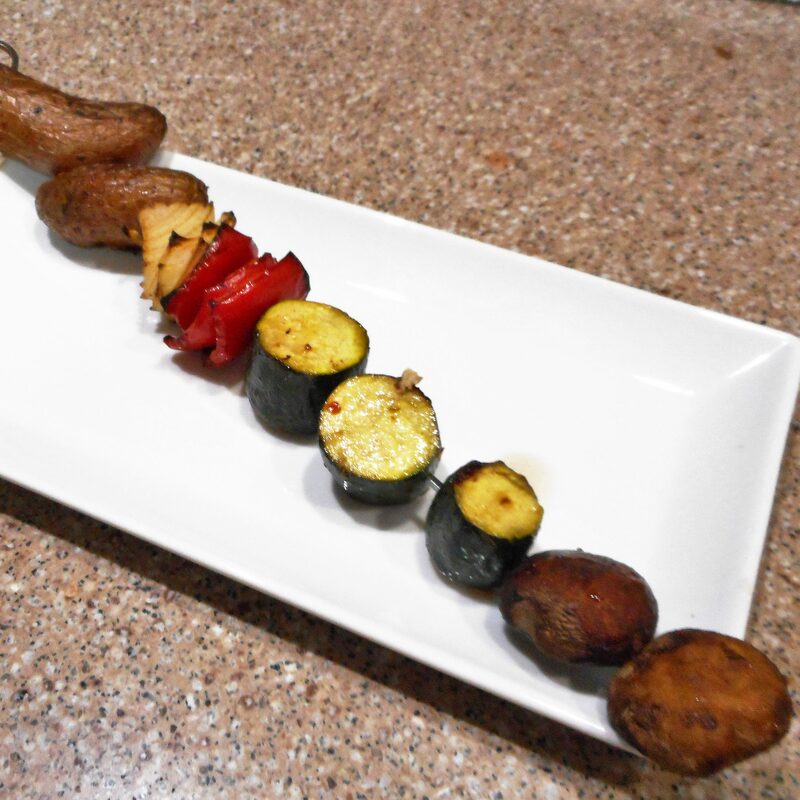 Thursday evening’s Grilled Veggie Skewers went well with Quick Brined Pork Chops. I just wish I had prepped extra vegetables for Friday’s Spicy BBQ Shrimp. We wound up playing “clean out the fridge” for sides, which really didn’t do justice to those yummy shrimp at all. I could have at least thrown a potato in the oven to bake! Call me “Lazy”! Sometimes I deserve it! This entry was posted in Uncategorized and tagged corn, food, freezer, garlic, peaches on August 21, 2016 by lizziesmom2012.